Prince Helseth wants you to deliver a special letter. Talk to Prince Helseth at Castle Wayrest. Come back after one day and take a letter from him. Deliver the letter to Lord Castellian or King Eadwyre. Return to Helseth for your reward or scolding. "I need a courier, (player's first name), but no common, jelly-armed, gas-headed pox of a mercenary will do. I have a letter of utmost importance to be delivered to a high dignitary who will be defended against unwelcome intrusion. 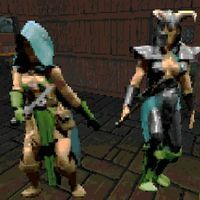 In return for this, I will not only reward you with a (magical item), but also put in a positive word for you with the king and queen of Wayrest, but I will give you some information on the affair with Daggerfall I doubt you would receive elsewhere. Does this sound like an agreeable arrangement?" "Excellent. Meet me here this time tomorrow and I will give you the letter and the name and location of the recipient." "Dullard. Why did you let me waste my time with the likes of you?" "Ah, hello again, (player's first name). Here is the letter. 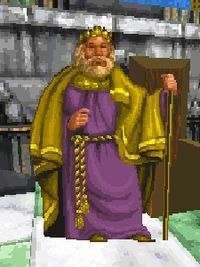 It is to be given to Lord Castellian, the head of the elder council, who is currently at his house (residence) in (town). I need the letter delivered and you back here in no later than (time limit) days -- that is essential. Like I mentioned before, Lord Castellian values his privacy to an excess. Be prepared for some resistance at your arrival in (residence). I would ask that you not read the letter as it is private correspondence. If word of its contents gets out, I will blame you." At this point, you have several options: proceed with the quest as instructed, read the letter, or you may alternatively deliver it to King Eadwyre instead of Lord Castellian. dignity from a possibly embarrassing scenario. communicates regularly with members of court. for your touch, dear, my soul is quite forfeit." your response at the soonest possible opportunity. I will await you at Castle Wayrest. The missive is an obvious attempt at blackmail. Note that if you decide to read it, your reputation with the nobles of Wayrest will fall, and you will not be able to successfully complete the quest. "Why that conniving, manipulative weasel. You did well by bringing this to my attention, (player's first name). Thank you." This will earn you some reputation with King Eadwyre and Wayrest, but also means you fail the quest (see below); you will not receive a reward from the prince. You wait while Lord Castellian reads the letter. His skin grows pale and his hand begins to shake. "I see. Please wait while I pen a response to Prince Helseth." It only takes him a minute to write the response, which he then hands you. "This letter has been opened. You exceed the bounds of a courier, (player's name)." Lord Castellian will speak no further on the matter, but he will send several knights and battlemages after you who speak for him, saying: "Lord Castellian has ordered your death. He wanted me to tell you that you know too much." He will not give you a reply letter in this case, and you will not receive a reward from Prince Helseth. You also have the option of delivering Lord Castellian's response to King Eadwyre, for the same reputation gain as with Helseth's letter. This also means you fail the quest and miss out on the prince's reward, however. "Anyway, here is the (magical item) I promised. Never let it be said that Prince Helseth is not a man of his bond. 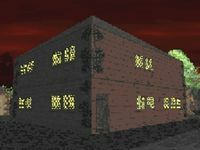 Oh yes, I promised to tell you something of the situation in Daggerfall. I suspect my family has more to do with it than is commonly known. We sent advisors to urge King Lysandus and King Camaron to mend their differences on the eve of the Battle of Cryngaine Field. Lysandus was digustingly [sic] loyal to the emperor, where Camaron was fighting for more autonomy. According to the advisor's report, they arrived too late because they were waylaid by the Orcs of Gortwog en route. However, I have heard stories that, at least some of our advisors arrived at Lysandus' tent and spoke to him briefly. At this time, I cannot say more. If I receive more information or if the situation progresses, I will certainly send you word." Helseth adds: "Well done (player's name). Your budding reputation appears to be deserved. Lord Castellian is quite pliable now." Additionally, if you read Lord Castellian's reply the prince goes on: "So you like to read the missives of your betters. Don't expect me trust you again anytime soon." Completing this quest is necessary to be offered the optional quest Barenziah's Book, though you must meet all the other requirements before it will activate. In the absence of third-party mods or patches, it is only necessary to wait approximately 16 hours after first speaking to Helseth for the quest to continue. 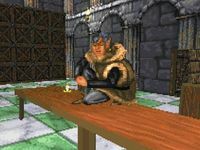 Since Castle Wayrest is technically a dungeon and separate from the city, it is possible for Lord Castellian's residence to be found in Wayrest. This can make the quest much quicker to complete. at the palace with this potential problem. I refer to your sister, Lady Pasipha. of the best procedure to take next. they can be confidently defended. soon as possible, of course. "It is really too bad that you were not a bit faster (player's first name). My sister Elysana is betrothed. Without her opposition, it was not truly necessary to deliver that letter to Lord Castellian. However, I'm sure I can turn this to my advantage somehow." to the delivery of the letter to Lord Castellian. pieces for your time and effort so far. The Daggerfall Chronicles refers to this quest as "Blackmail". Once you have completed Helseth's quest and received your reward, his quest will not terminate; it will remain active in the background until you reach the required level and reputation with Barenziah to start her quest. However, if you complete Elysana's Robe to Elysana's approval, a message from Helseth pops up saying you should have been faster in delivering his letter, even if you already have delivered the letter for him (presumably he shouts this message back from the dining-hall). Once you get this message, a trigger is started to end Helseth's quest 3 to 7 days later. 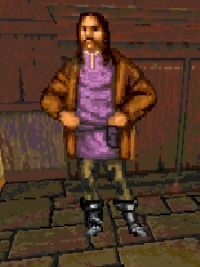 You will be approached by a courier after this time has passed, who will give you a note from Helseth along with 100 gold (which may vanish, see notes). If you can manage to get your reputation with Barenziah to the quest minimum within this three to seven days, or Elysana's quest has just added the remaining reputation for Barenziah, her quest will start as usual. However if you don't manage to get the required reputation before the three to seven days have passed, Helseth's quest, which runs in the background will get terminated and you can no longer get Barenziah's quest. This is a very confusing quest construction which can also lead to a scenario where you can meet two different Lord Castellians at the same time, one for Helseth's quest and one for Elysana's. You can do Elysana's quest parallel to Helseth's quest as long as you don't report back to Elysana once you have delivered the robe. Theoretically you could give the robe and Helseth's letter to any of the two Lord Castellians. For the game they are both one and the same entity, but this hasn't been tested. In short, the safest way to get Barenziah's quest is to refrain from taking Elysana's quest before Barenziah has summoned you. Because of an oversight in the questfile, neither the note nor the gold the courier gives you remain in your inventory once he has left. Due to this, players may never discover what the encounter was all about. The above bugs are fixed by third-party patch DFQFIX, along with many more bugged quests. See patch page for details. "Lord Castellian is admitting no visitors while on holiday in (town)." "The question of succession has been distracting Lord Castellian terribly." "Lord Castellian seems to be favoring Princess Elysana in the succession." "The Elder Council seems inclined to uphold the venerable law of succession." "Lord Castellian is constantly in Prince Helseth's company since his holiday." "The Elder Council is talking earnestly about eliminating the law of succession." 0 (Date): Prince Helseth wants me to meet him tomorrow at the Castle for the details of a quest. I will be acting as a courier. 1 (Date): Prince Helseth wants me to deliver a letter to Lord Castellian, leader of the elder council of Wayrest, in his holiday manor, (residence) in (town). I have (time limit) days to deliver the letter and return. This page was last modified on 18 October 2018, at 06:24.